The Nabu is similar to the Nike FuelBand, but goes a step further, as it also displays your smartphone’s notifications, communicates with other Nabu bands that are nearby, and can be controlled by active gestures the user performs. For instance, you can set the Nabu to transfer Twitter or Instagram information with another Nabu user, simply by giving the other person a high five. Want to give your phone number to a hot gamer chick that is wearing Nabu? All you have to do is shake her hand and the information will instantly transfer to her iOS or Android-powered device. The device also manages your time, as well as your health. It tracks calories burnt, steps walked, floors climbed, distance traveled, hours slept, places visited, and much more. As for managing your time, the Nabu can be programmed to allow you to see only the notifications that are important to you at any given time. If you are into a night of gaming, the Nabu will only send you tweets or text notifications that have to do with your game time. It’s all customizable and it appears to go quite in depth. As for the hardware and specs, upon launch, there will be both an Android and iOS application. The device features dual OLED displays, one for private messages and one for public display. They range in size from 32 x 32 to 128 x 32 pixels. Awesomely enough, the device is said to have a 7-day battery life, which is a major plus. To top it off, it is completely rain and splash proof. We would recommend you don’t go swimming with it, though. So, you are ready to buy one. I don’t blame you. I’ll definitely be picking one up. 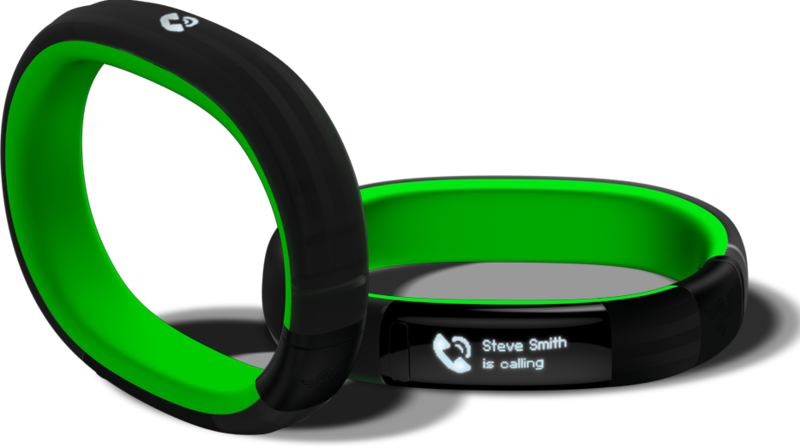 The Nabu will be available by later in Q1 of 2014, but the price has yet to be confirmed. There is a developer program currently being set up, which will allow developers to purchase the Nabu for just $49. With that said, we would guess that the Nabu will priced no higher than $99 to $149. Once price and a street date are confirmed, we will let you know.